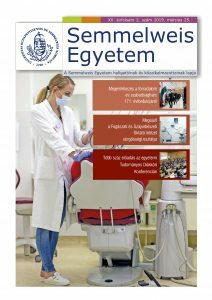 Location: Semmelweis University EOK, 1094 Budapest, Tűzoltó u. 37-47, Biochemistry lab #3. April 5, 13.50-16.20 (Prof Kolev) Computer simulated enzyme kinetics 1. Continuous and end-point enzyme assays. Adjusting the conditions of the simulated experiment in accordance with the assumptions of the steady-state approach. Best experimental guess of the model parameters and their confidence intervals. April 12, 13.50-16.20 (Prof Kolev) Computer simulated enzyme kinetics 2. Application of enzyme kinetics for solution of practical problems. Identification of physiological substrates and high control-coefficient steps in metabolic pathways. Identification of amino acids with critical function in the catalytic mechanism of enzymes. May 3, 13.50-16.20 (Dr Törőcsik) Basics of carbohydrate metabolism. Glucose metabolism, glycolysis. Gluconeogenesis in liver. Citric acid cycle. Terminal oxidation. May 10, 13.50-16.20 (Dr Törőcsik) Lipid metabolism. Synthesis and oxidation of fatty acids. Metabolism of amino acids and ammonia. May 17, 13.50-16.20 (Dr Törőcsik) Biochemical methods in medical practice: measurement of blood glucose, cholesterol and triglyceride. Evaluation of mitochondrial oxidation. Isoenzyme (pyruvate kinase) and transaminase activity measurement. The Biochemistry course offers a concise overview of the dynamic metabolic networks in the cell focusing on the general principles of enzyme kinetics, structure and control of metabolic pathways. Aspects essential for future specialists in Biotechnology are emphasized: modern biochemical techniques in the characterization of intermolecular interactions and enzyme action, in silico modelling of biochemical processes and systems. Medical orientation is implemented with discussion of the molecular basis of selected diseases with major public health impact (cardiovascular, neurodegenerative diseases) focusing on the molecular targets of therapy. Students participate in formal lectures, tutorials and computer-simulated practical lessons.